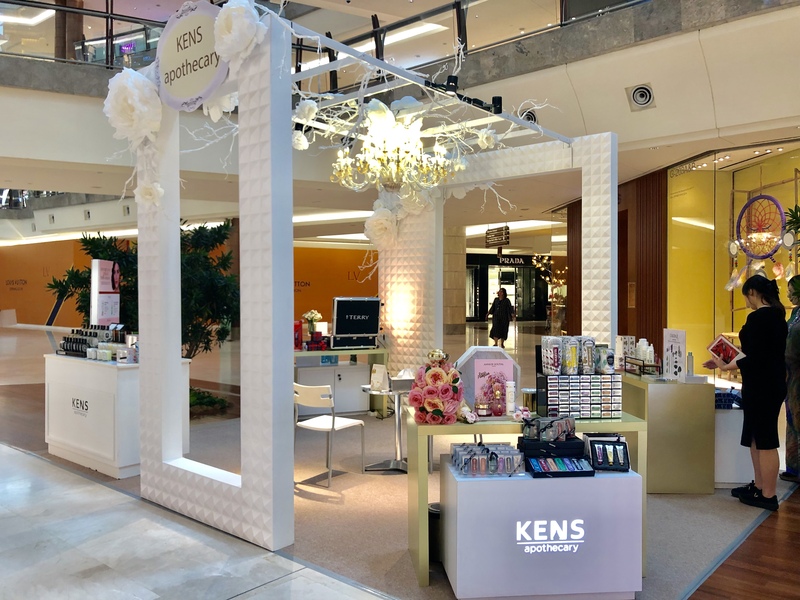 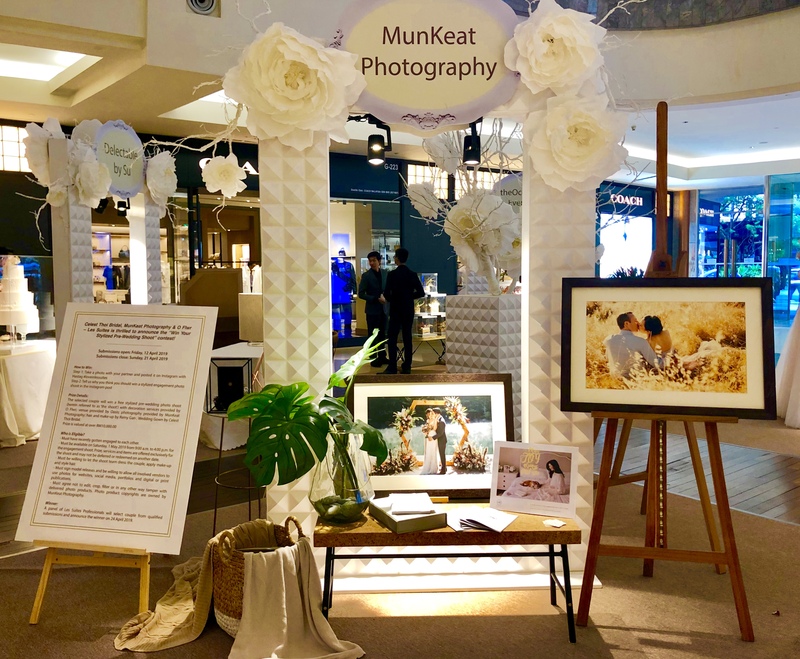 Check out our Bridal & Beauty campaign happening from 12th till 21st April 2019 at the North Palm and East Lobby of The Gardens Mall! 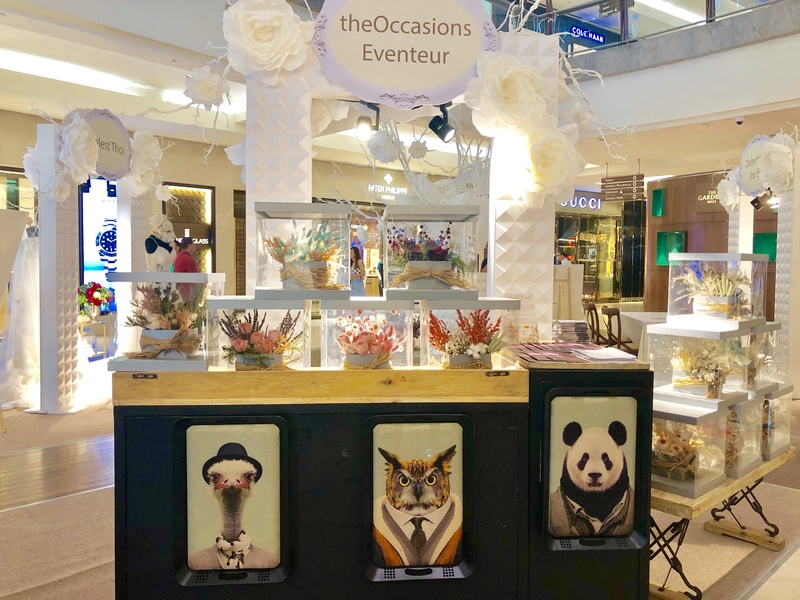 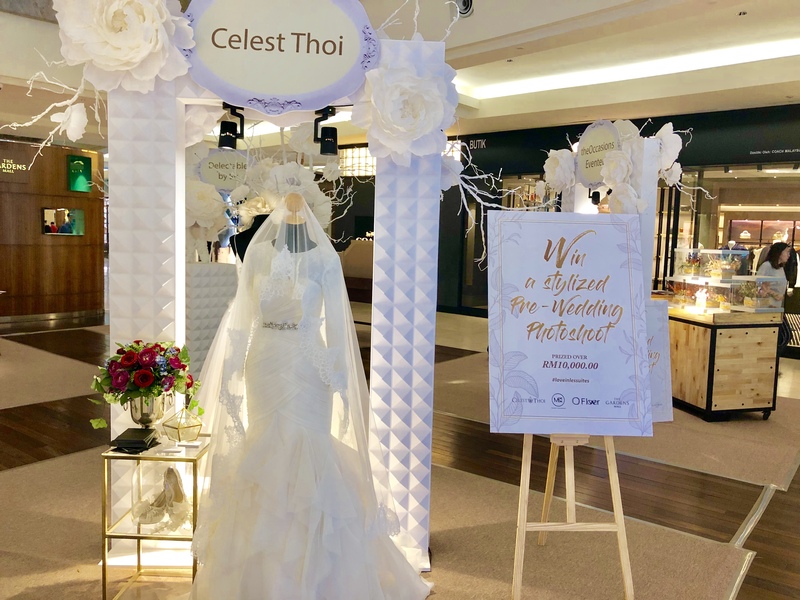 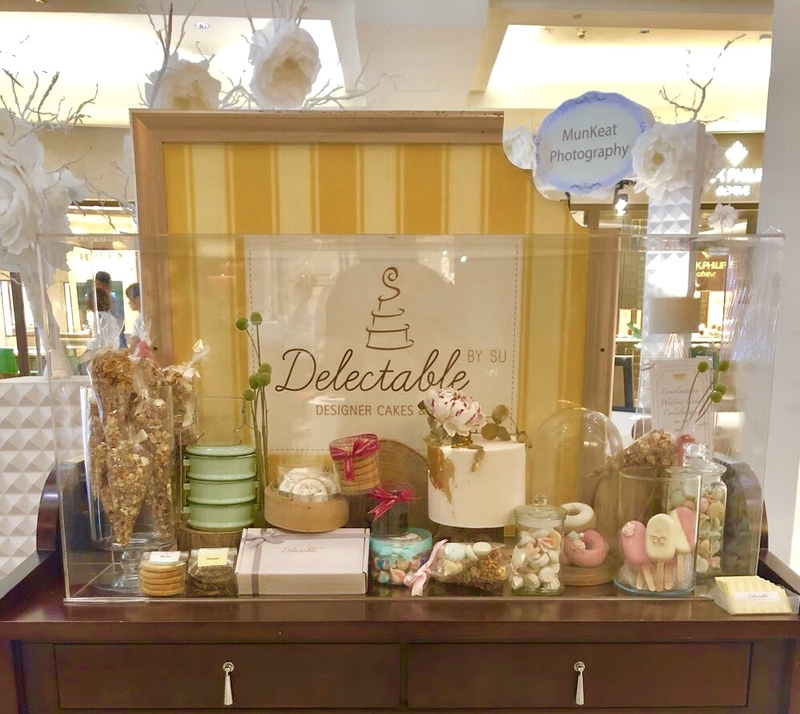 Participating brands include – Celest Thoi, Delectable by Su, Élévatione Time Stops, KENS apothecary, MunKeat Photography and theOccasions Eventeur. 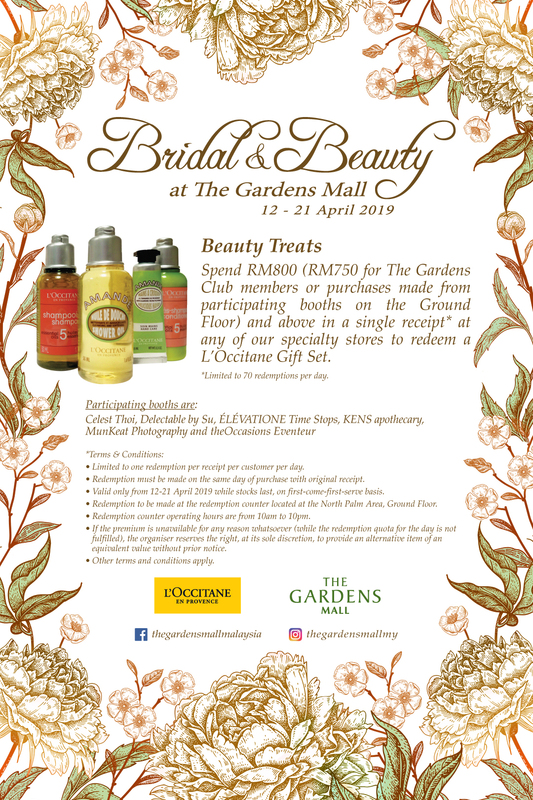 Don’t forget to redeem an exclusive L’Occitane en Provence Gift Set when you spend RM800 (RM750 for The Gardens Club members or purchases made from participating booths on the Ground Floor) and above in a single receipt* at any of our specialty stores! 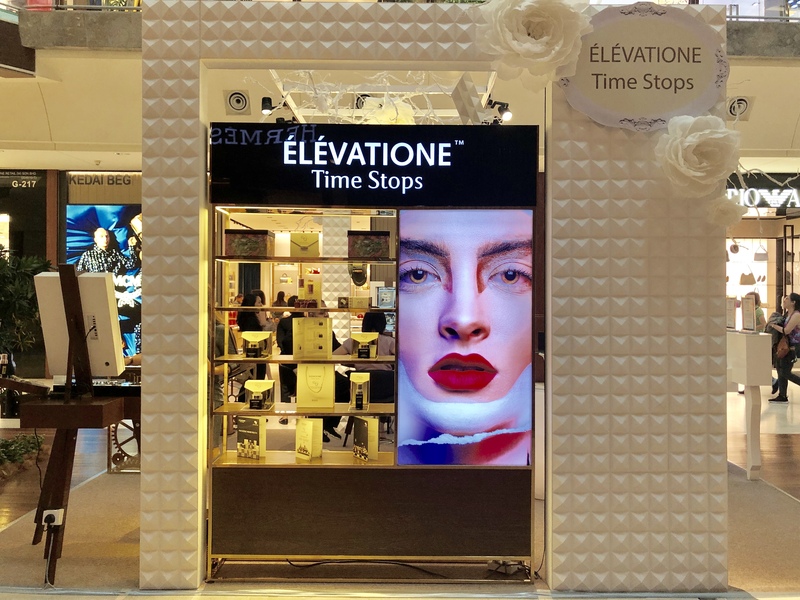 Redemption can be made at our booth located at the North Palm.